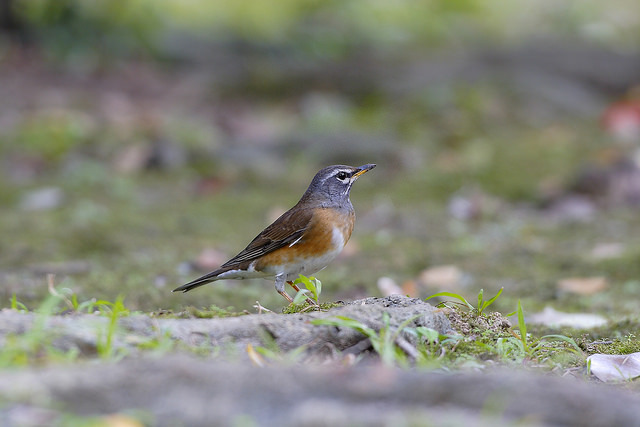 The Eyebrowed Thrush breeds in central Siberia. Only in exceptional cases it is found in Western Europe. It has a striking orange breast and a bright white eye stripe. It slightly resembles the Redwing, which is reddish-brown on the flanks.